Chances are, you don’t have enough space in your kitchen for every tool and appliance you might want, so consolidation is key. 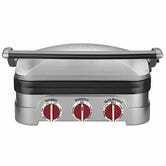 Luckily, Cuisinart’s affordable Griddler includes three (or even four) different kitchen appliances in one sleek device. 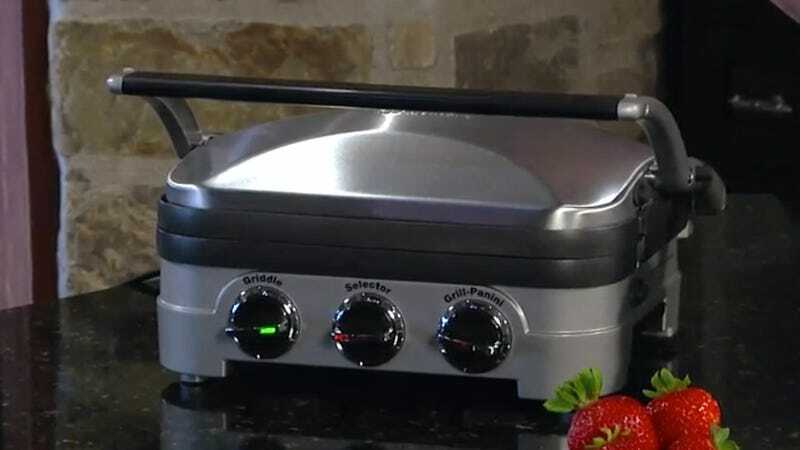 At first glance, the Griddler looks like a run of the mill Foreman-style double sided grill or panini press. 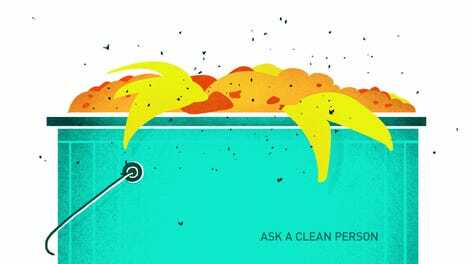 Pull one tab though, and it folds all the way open to double your usable grilling surface area. Push a couple of buttons, and the cooking plates pop out, revealing a flat griddle on the opposite side that’s perfect for frying eggs or making pancakes. 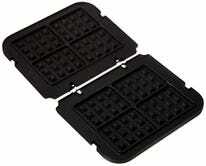 If you want to get really advanced, the Griddler is also compatible with waffle iron plates (sold separately). The sheer size of the device makes it ideal for cooking up a pile of Belgian waffles in a short amount of time, but most importantly, the plates take up a lot less room in your cabinets than a dedicated waffle iron.